In a large bowl, whisk together the milk, eggs, ricotta cheese, vanilla extract, lemon zest, and lemon juice. Slowly stir the dry pancake mix into the wet ingredients. The batter will be a little lumpy and that is ok! 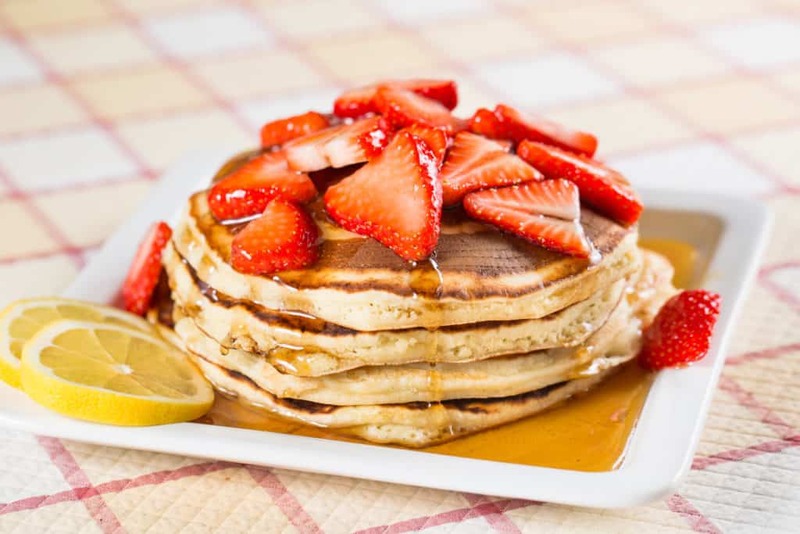 To make the pancakes: Pour about ¼ -⅓ cup batter onto buttered griddle or skillet and cook until bubbles begin to appear on surface and bottom is golden brown, then flip and cook on the opposite side. Serve them warm with powdered sugar and sliced strawberries. Drizzle with maple syrup and top with fresh strawberries.